Since its inception over 30 years ago, our company has grown to include an extensive database of interpreters and translators providing exceptional linguistic services in over 100 languages and dialects. In 1978 Abe Gomez founded the company. As a federally certified interpreter, he personally provided Spanish interpreting and translation services for law firms, municipal courts, and businesses throughout the Chicagoland and Northwest Indiana regions. Our team of interpreters have industry specific knowledge and experience with court proceedings, independent medical evaluations, legal depositions, business negotiations, job training, and conferences, to name a few. We are Chicago and Northwest Indiana’s interpreter of choice. Abe was joined by his niece, Danette Garza, in 2005. Danette took on the role of Business Manager for the company. 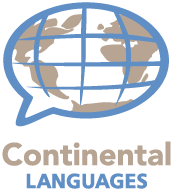 Since then, Danette has become the owner of Continental Languages, LLC, and the company has been re-branded from Abe Gomez Continental Interpreting to Continental Languages, LLC. We believe that our new name provides a more global perception of the company and our vision. The entire team at Continental Languages, LLC, proudly carries on Abe’s tradition of quality service and professionalism. 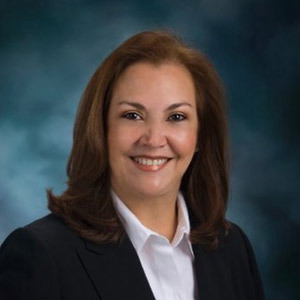 Meet Our President Danette Garza, J.D., M.B.A., C.P.A. Danette Garza is a transaction attorney, practicing in the area of Business Law & Succession Planning, Mergers & Acquisitions, Estate Planning and Probate. Ms. Garza graduated from Valparaiso University School of Law where she received her Juris Doctorate degree. She also received her Bachelor of Science degree and Master degree in Business Administration from Indiana University. Danette is also licensed to practice as a Certified Public Accountant in the State of Indiana and has over twenty years of public accounting experience. Danette is a member of the Indiana State Bar Association, the Lake County Bar Association, and the Indiana CPA Society. Danette remains involved in the philanthropic community of Northwest Indiana. At present, she serves on the Board of Directors for Northwest Indiana Bancorp, the holding company for People’s Bank located in Munster, Indiana. She serves on the Executive Board of Directors for the Legacy Foundation and is the Chairman of the Investment Committee. In addition, she also serves on the Executive Board for South Shore Arts and serves as the Vice President of Administration.